The new version of QuickTime (version 10.2 running on OS 10.8 or greater) allows you to take a screen recording of your computer. Getting audio requires a few tricks. The easiest way, albeit a bit “old school”, is to use a hard-wire to get sound from your computer back into your computer. Put one end into the computer headphone jack and the other end into the computers input jack. These are usually located next to each other. 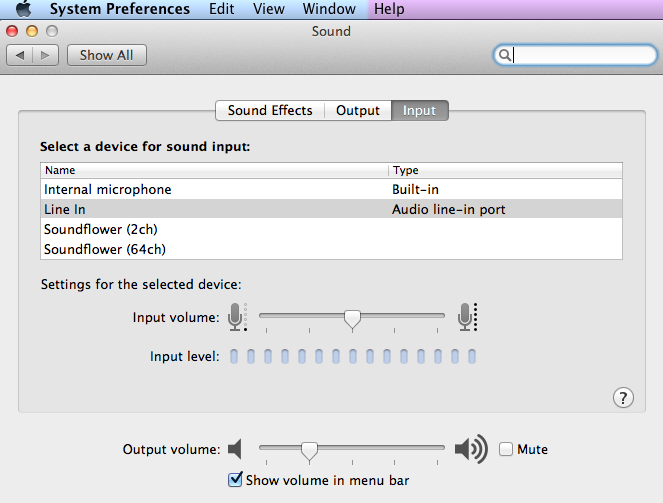 Once the cable is plugged in, the Output will automatically default to Headphone but check it in the System Preferences just to be sure. When you go to record in QuickTime, there is a little triangle pull down menu in the record screen. 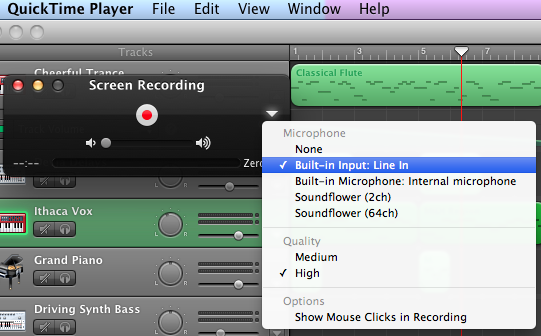 Choose “Built –In Line Input: Line In”. 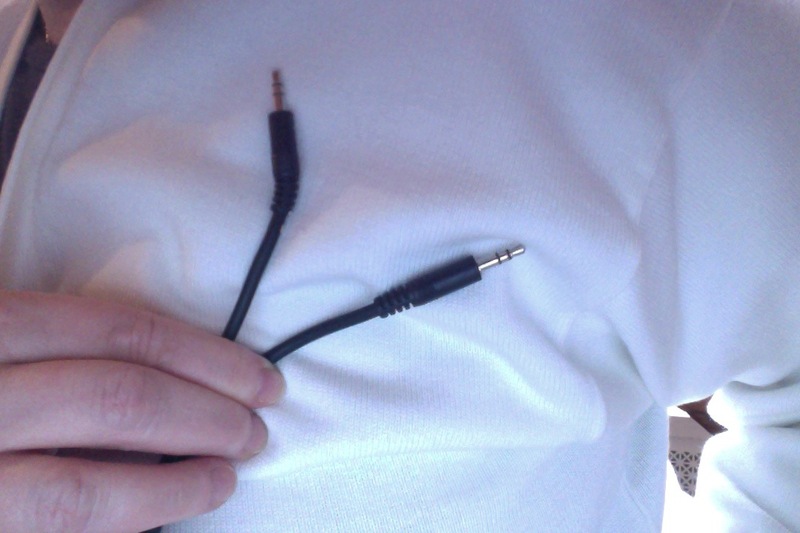 When you play back your recording, don’t forget to unplug the cable to hear the sound out of your speakers! 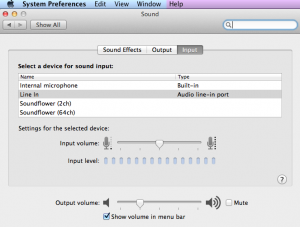 The “ high tech” way to get audio from QuickTime screen cast is to use a third application called SoundFlower. It’s a little cumbersome to get going but if you have the inclination and time to set it up, it works great. There are many YouTube videos and print resources on the web explaining SoundFlower. Sometimes low tech is good. How do you screen record and capture audio?